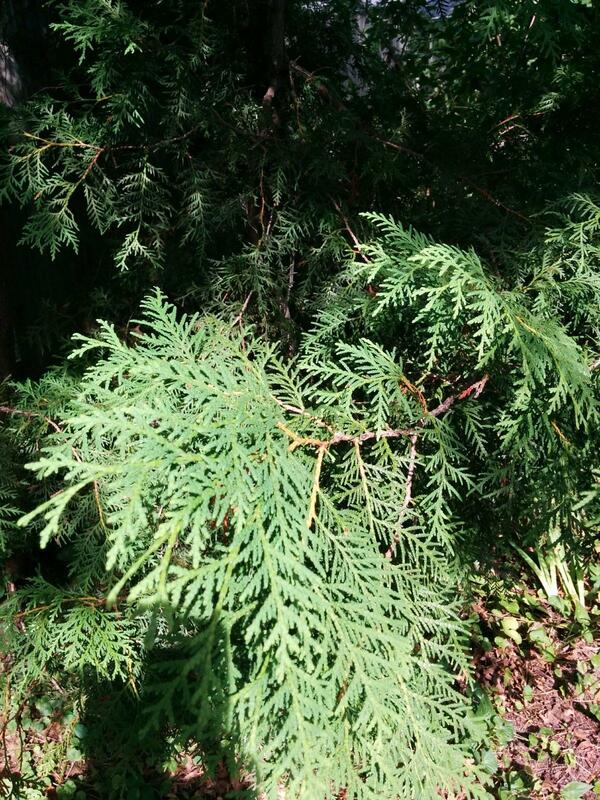 Herbal Ways to Connect to Our Ancestors was written by Herbalists, Amy Shea of Wise Waters Botanicals and Erin LaFaive of Full Circle Herbals. I thought I heard an ancestor saying, “Hullo, Erin”, this morning, while I was working in the garden. It was so loud I stood up straight looking around expecting to see someone standing on the street. “Nah,” must be someone in the neighborhood saying something that sounded like “Hullo, Erin.” But, it sure sounded like one of my male relatives. Whatever I heard it got me to thinking, “What if our ancestors could talk to us? What if they ARE?” I can’t imagine we even hear them in the noise of living. If we aren’t listening, maybe they have stopped trying to talk to us. They can see we aren’t even tuning into their mode of communication, their frequency, their “telephone”. Many cultures, religions, have ceremonies, rituals, holidays set aside for this connection. Day of the Dead – Dia de los Muertos – November 2, is traditionally celebrated by people in Mexico and parts of Central and South America or where people of Latin American countries have settled which includes the United States. Many people across the globe maintain sacred, special areas of the house dedicated to their memory. My Mom loved little trinkets in shadow boxes so I displayed them on a wall. The picture represents another thing she loved, horses. The words “be free” is a replica of a tattoo I have in her remembrance. Halloween – All Hallows Eve – October 31 use to be a time of honoring those that transitioned to the Spirit World. It’s thought that the doorway, or veil, of the Spirit world and the physical world is thinnest at this time. The ones that just transitioned to the Spirit World, the place-we-cannot-see? The ones passed, long, long ago during a time we required constant attention to food, medicine, shelter, not Hulu, celebrity status, sports, Facebook likes? A simple way to start connecting to ancestors is create a space in your home for an “Honoring our Ancestors Area”. 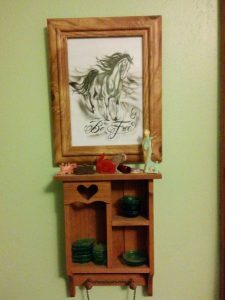 It can be a shelf, dresser, table, or other surface where you can add items that represent your ancestors. You can keep this as a permanent space or put together on special occasions. 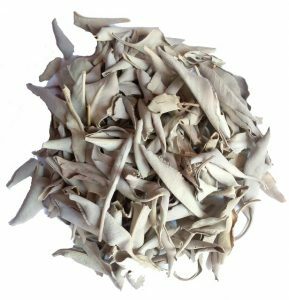 When we think of plants as a way of acknowledging our ancestors, and the spirits of the land that speak to us, many of us automatically think of white sage (Salvia apiana) that carefully tied chunky smudge bundle made up of soft grayish frosted white. 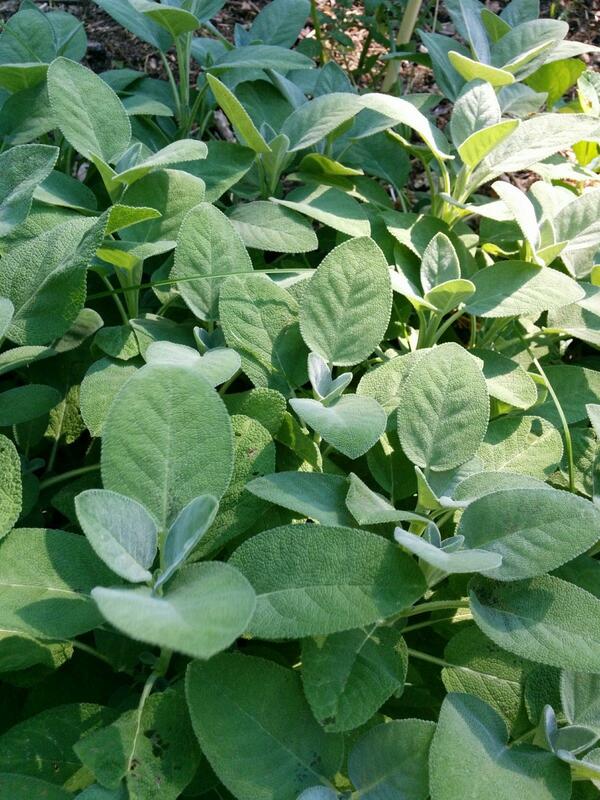 For some there may be some concerns regarding the misappropriation of white sage’s (Salvia apiana) use as a ceremonial herb, not to mention the “to-watch” status of the wild populations of this plant by United Plant Savers. That “to-watch” status means white sage is beginning to be harvested faster than it can grow back. Now that can be caused by a variety of reasons, what’s important to know is that we need to be sure to use it very gently and to look at alternative plants to use in our spiritual practices, and in our ancestor honoring. 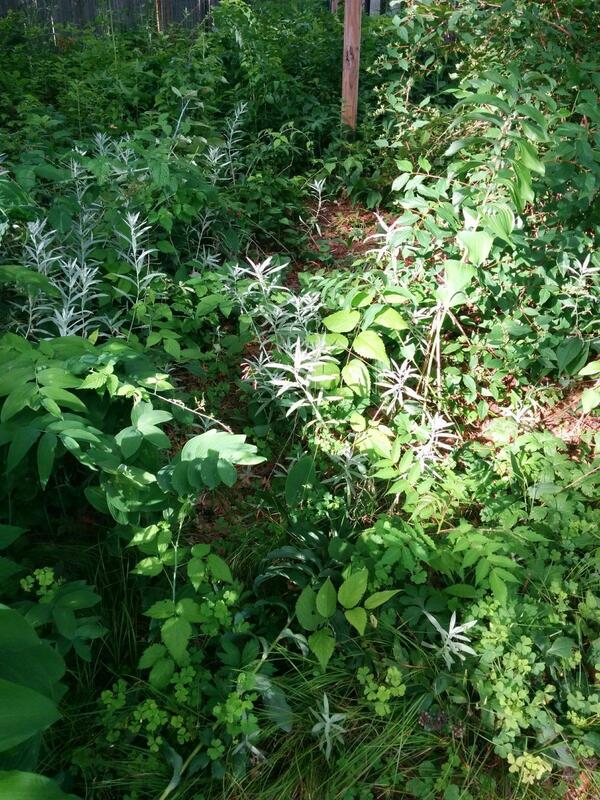 White sage (Artemisia ludoviciana): not as strong in fragrance as the California white sage. 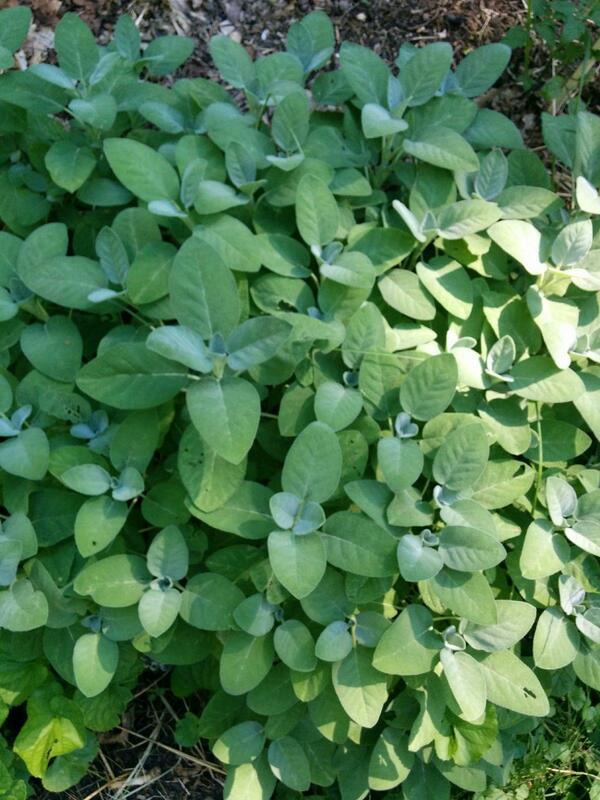 Grows in many soil types especially sandy, sunny areas. As you can see these two different plants have the same common name. That’s why it’s important for us to add the Latin name to show the difference. Kitchen sage (Salvia officinalis): While not exactly the same as white sage, it does work quite similarly when it comes to carrying respect, prayers, and energy between the realms of spirit and physical. It can also be used quite well as a cleansing smudge alone or in combination with other herbs. 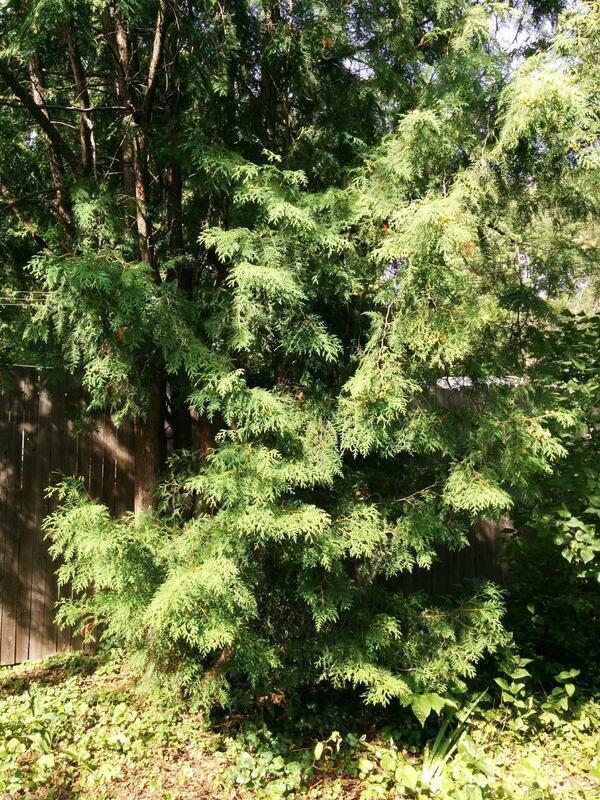 Cedar is another amazing botanical for honoring your ancestors. It’s an herb with a history of use in ceremonies of transitions such as births and initiations. It is said to be calming and uplifting. She reminds me of the woman who is bears the wisdom of experience, yet retains the sense adventurous mystery that dares you to see what she’s found. She is a keeper of secrets and that which is sacred. Pipe tobacco is relatively inexpensive and a wonderful manner to honor the ancestors of the land when harvesting. You don’t even need to light it up. Sprinkle it with your prayers, or as a gift to show gratitude for blessings and for the harvest you’ve taken. 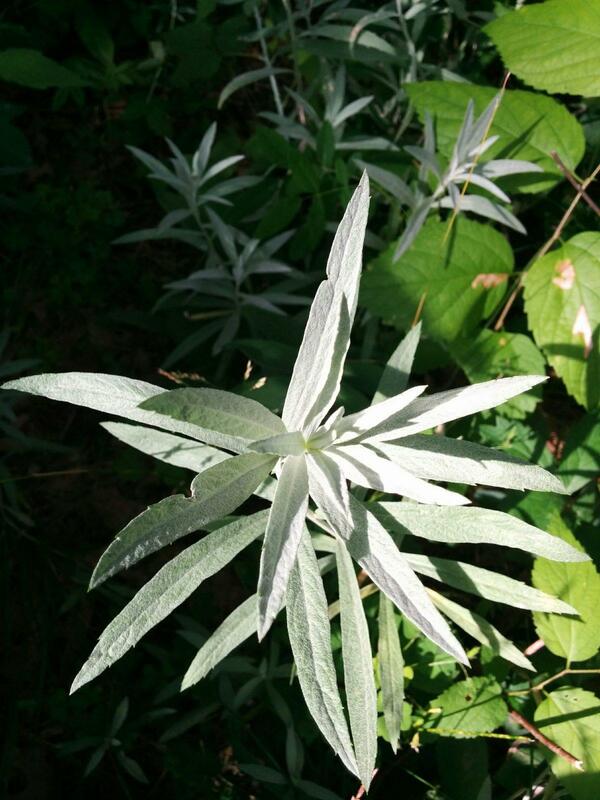 Mugwort is a sacred mother, particularly protective of children. Hang it in bundles, or as satchets with other herbs in the points of entry of your home. It can be used to create smudge bundles. Mugwort bundles are traditionally tossed upon the bonfires as sacred offerings, and more. These examples are a very limited sampling of not only how each of these plants might find their way into spiritual practice. I invite you to dive in and explore herbs as inclusions for honoring your ancestors and as a part of your spiritual practice. Some really simple ways to incorporate plants into your spiritual practice might be creating your own incense blends. You can add an offering dish as a part of that space you might create in honor of your ancestors, place their favorite flowers, or an herb whose scent reminds you of your connection to family. Gather your herbs and flowers into a bundle, as though you were intending to make a small bouquet. If you’ve chosen to add flowers to your bundle, you might want to keep them on the top of your bouquet so your bundle will look pretty. Tie your thread super tight at the bottom end of your bundle. Carefully wrap your bundle, keeping the thread tight as you can, because as your bundle dries it will lose some thickness and the thread will loosen. (In my first attempt at smudge bundles, I didn’t get the thread tight enough, and my bundles fell apart. –Amy). Tie your thread off once more at the top of the bundle, and hang it todry. It will likely take a few weeks to dry. 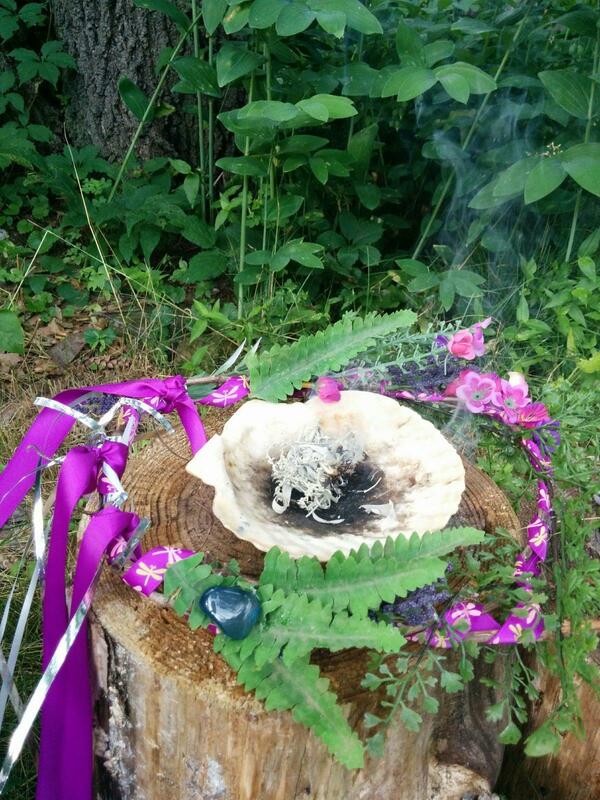 When you smudge your space, you will light the bundle and then allow it to smolder. There are a variety of different bowls and trays that you could use to hold the smudge wand while using it. One of the most common is a large shell. How does this herbal activity help you connect with ancestors? During the gathering and wrapping you’ll be thinking about your ancestors. It’s your intent during the activity that counts. While it dries and you walk past it on a daily basis you’ll be remembering your ancestors and that you’ll be using it soon. When it comes time to use the herbal smudge stick, the smoke is said to alert the Spirits that you’d like to communicate. It’s also noted that the smoke helps deter any energy that you don’t want around. Sort of like the energy around you getting smoothed out to allow the communication lines to open up nice and clear.